Testing provides information on the state of the product for stakeholders to make decisions. Ideally, this feedback needs to be delivered in a timely manner so that stakeholders can make those decisions at the appropriate time. Staged delivery cycles, such as Waterfall, have long / delayed feedback loops which results in decisions often being made after they are most effective. Agile development practices aim to shorten feedback cycles between each stage of the development cycle. 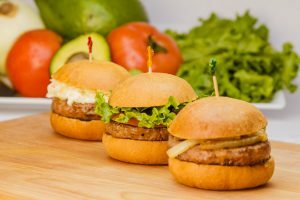 So how is software testing impacted by batch size reduction? Software testing is often seen as the bottleneck in the development process, with Testers feeling the brunt of the glares & furrowed brows of those who want to get the software delivered. Guess what, those Testers (by & large) also want to see the sofware delivered as well but the implemented process in traditional software development means that they don’t get to see the software until late in the process. In this context, it’s the process that is hindering the progress of development, not the testing specifically & certainly not the Testers themselves. The Agile principles (page 2 of the Manifesto – go check them out) are focused around establishing a smooth flow & frequent opportunities for feedback. The frameworks, like Scrum, strive to help teams implement the underlying agile principles. It is reduced batch sizes that facilitate this smooth flow & fast feedback offered by the Agile principles. Testing fewer/smaller changes in the code base means that the testing activities can be performed faster many/large changes. How many times as a Tester have you sat waiting for a build or release candidate to make it into a test environment? This is a biggie for me as a Tester – I want to be able to provide the appropriate feedback at the time it will be most effective. With large / complex release candidates, it’s going to take me longer to test & as such longer to provide feedback. It is far easier for us mortal humans to understand the risks associated with 1 line of code change than that of a large / complex release candidate. Also, if we change 1 line of code & we discover a bug in the Production environment after it is deployed, it is far easier for us to debug the problem than if we release many lines of code across different modules. This is a real brainbender, as you should imagine with smaller releases comes more deployments. Don uses the example of bugs in this principle; largely releases are likely to take longer & have more open bugs that need to be triaged for not only priority & severity but also duplication. Search through 300 bugs to see bug 301 has been raised before will take longer than search through 30 bugs to see if bug 31 has been raised before. Also, if a release takes weeks to be tested & we have provide a bugs status report for each week for the release, then we are creating more test reports. Large batches are great for improving the efficiency of the individual Programmer or Tester as they get long periods of uninterrupted time to do their work. However, from Systems Thinking we understand that this local efficiency reduces overall efficiency of the development process, largely due to the lack of connectivity & feedback between the sub-systems. Its the same for software development – we get a lot more Dopamine when complete tasks more frequently. We then crave more of that chemical which motivates us to get more work completed. Completing work is easier when the size of the work to be completed is small. Also, in Agile development teams, it is very hard to hide for any prolonged period of time. You take on a task & you are expected provide feedback on that task, usually within a couple of days. That large release comes into test & it’s buggy. It takes ages to debug, fix & retest. The other Programmers are not twiddling their thumbs. Nope, they’re writing more code on top of the buggy code which will later need to be unpicked when the fixes for the related bugs are causing merge conflicts. These bugs prevent the release being deployed, so the Programmers are unable to commit their (seemingly) unrelated changes for a different feature until the release has gone. These branches need to merged into the Master branch at some point, likely causing significant merging / integration pain. And then the loss aversion kicks in – the large batch becomes the project that must not fail & all manner of money gets thrown at it. More people get added to the project in order to ensure that the software gets delivered on time (which thanks to Brooks & his book The Mythical Man Month we know is a myth) which means the batch just gets larger & any problems already in the codebase & process get exacerbated, leading to larger batches still. You have a release that is comprised of 20 stories. You find a bug in one of those stories, but the other 19 are ok.
You cannot release the 19 stories until the bug in the 20th is fixed. This means you have 19 stories sitting there, waiting to be deployed, not delivering the company any value yet the company has invested a lot to get those stories to this point (inventory). Wouldn’t it better to release the stories in smaller batches so that you can start getting the value out of them? What’s stopping me from reducing all the things? The enemy of reducing batch size is transaction cost. So how do we reduce the batch size of testing? We break it down into smaller components & spread it across the whole development cycle, striving for continuous testing alongside the corresponding requirements gathering or programming practices. This sounds pretty similar to the V-Model doesn’t it? Well there’s a major difference – each stage of the model is contained within the feature being developed which should be over in days as opposed to weeks or months. See how the focus of testing (for the entire team) shifts from a unit level through to a system integration level as the software progresses through the development pipeline – we are continuously testing throughout development. Continuous testing isn’t a new idea, just an existing phrase rebadged. For example, Toyota are famous for continuously checking the quality of their vehicles as they progress along the production line. Also, Gilb has being using the phrase “Continuous Inspection” since 1988. Chris Matts calls when information is discovered (in the development lifecycle) “information arrival“. He has a great diagram in his European Testing Conference keynote “We don’t need Testers! What we really need is Testers!” (from 12 minutes). 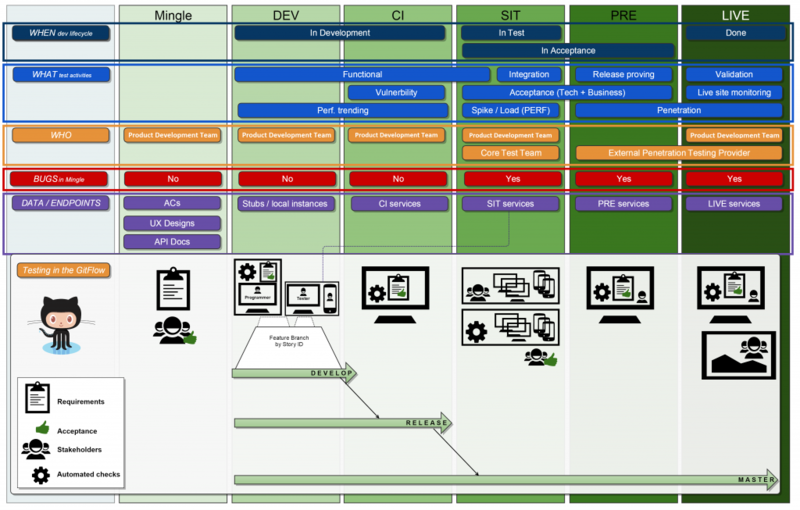 I’ll be discussing the diagram in more detail in later post, but the general idea is that testing can & should discover information throughout the development lifecycle, not just in a phase at the end. Discuss testability & generate a test approach with the whole team before any code is written so everyone knows how the software will be tested & who is doing what level of testing. Get access to the production & test code the Programmers are writing so you can start testing on your machine & provide feedback before the code is checked in to the repository. Pair with or take a handover from Programmers to understand the pain points in the software they have written – this will help generate a raft of test ideas & focus. Programmers will start to understand how you approach test execution. Let decision makers (e.g. Product Owners) play with the software on your machine so they get to say the fabled words “that’s not want I want” – the next words out of their mouths will be what they do want. (J.B Rainsberger – from 20 mins). 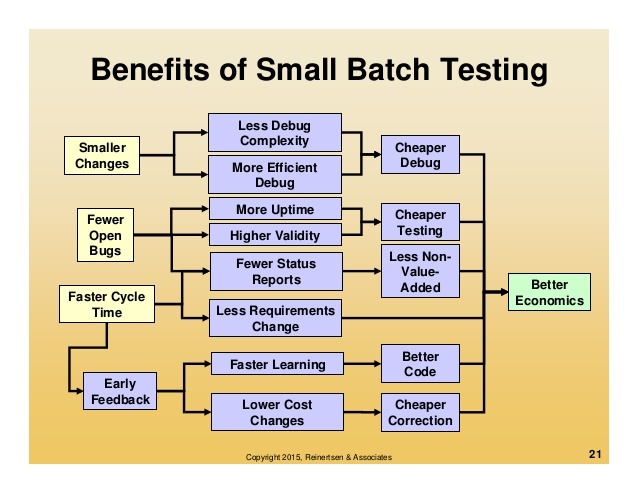 So these are my thoughts on how batch size reduction & software testing play together – I’m looking forward to reviewing these notes after I’ve attended Don’s workshop. Previous PostPrevious What has the CDT Community ever done for me?